Conceived as a singular chair destined for the world of contract as well as the home. 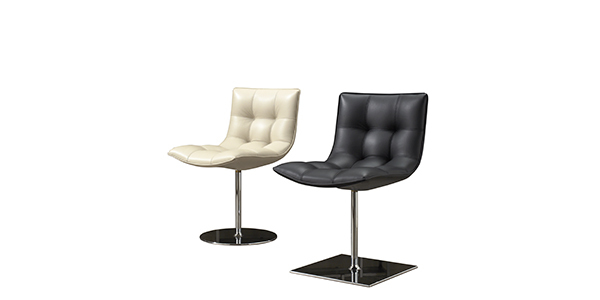 Available in swivel or fixed version. Covers in different fabrics or leather. Foot in aluminium and steel, with finish in dull or bright chrome.The base can be in square or round aluminium.